Don’t underestimate the value of loose change. We found a guy who does not only make the most out of these tiny stuff, he gives them super powers and renewed worth. 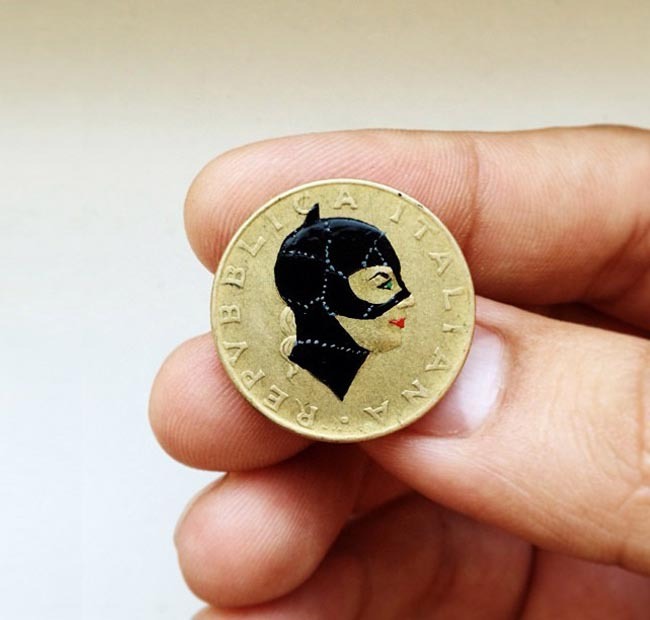 While others can’t squeeze their ideas inside a canvas, Brazilian artist Andre Levy makes pop culture icons fit in a coin. 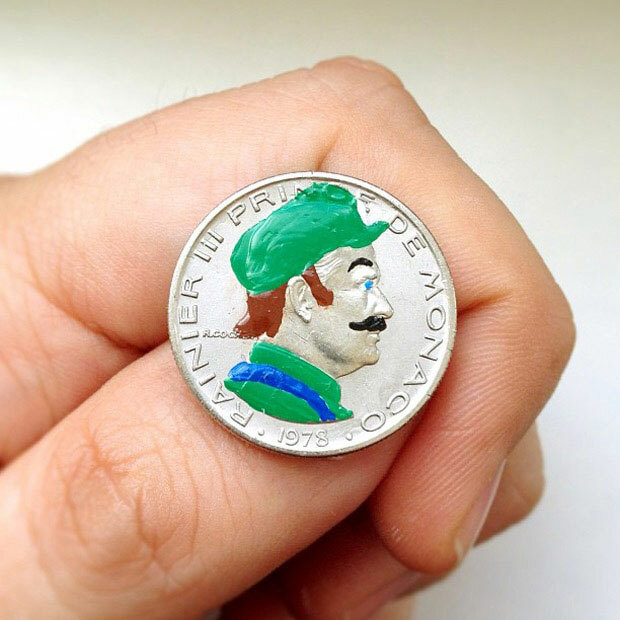 This Sao Paulo-born, Frankfurt-based artist gets a knack out of painting miniature portraits on small coins — as if painting on regular paper isn’t hard enough. There is so little to find about the artist but good thing his works speak for themselves. Tails or heads, you won’t lose in this game. 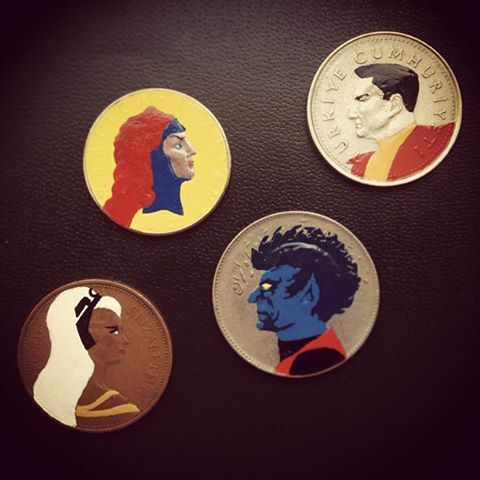 Tales You Lose is a project where Levy carefully paints different pop culture icons on a variety of coins from different countries. The project has been exhibited in different galleries. The most recent was Art In My Mouth II which recently closed last October 30, 2014 in Stew Gallery in Norwich, England. 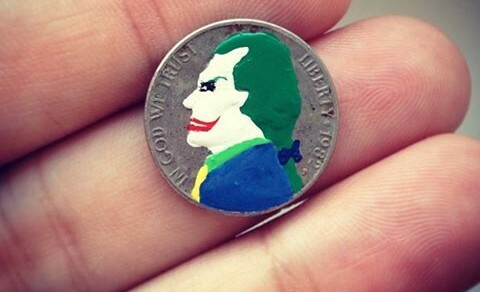 He turned the portraits of monarchs and political heroes adorning coins into images of pop culture icons. Andrew Levy and his project Tales You Lose ought to have more following and recognition because of its fresh take on miniature art which is becoming more common these days. What sets him apart from the others is his chosen canvas. 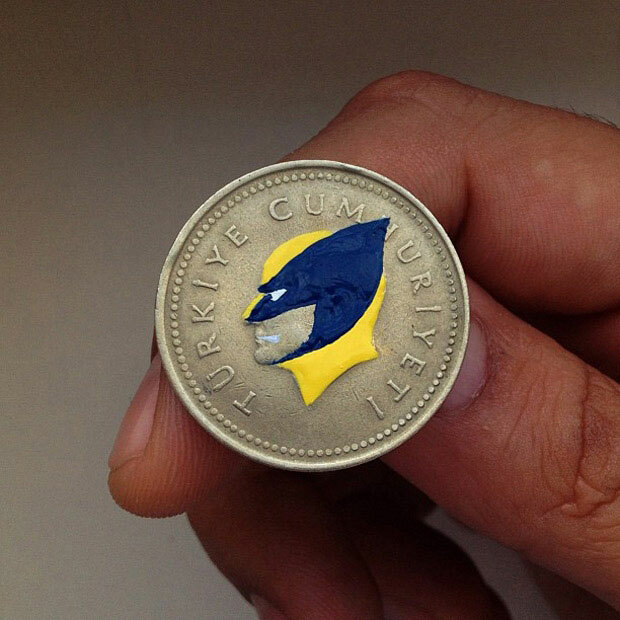 Out of curiosity, don’t you want to know where he get his coins? We’ll just have to wait for his response. :) See more of his works in Facebook and Tumblr. 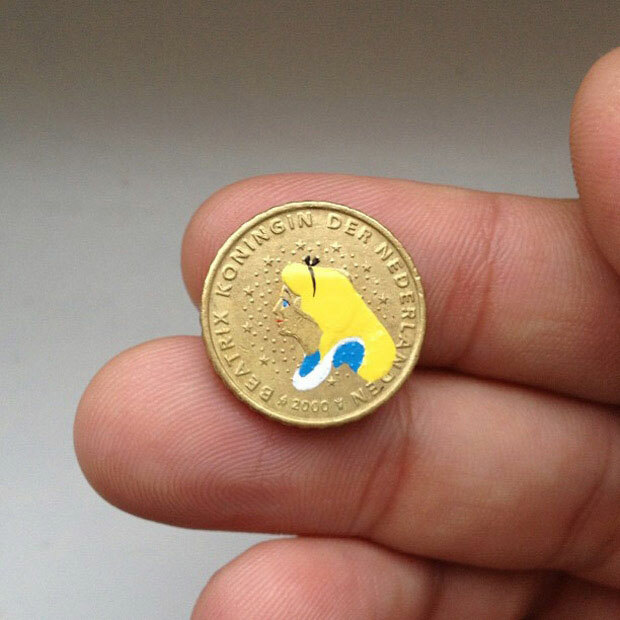 A few months ago, we featured a fun miniature project if you like tiny stuff. 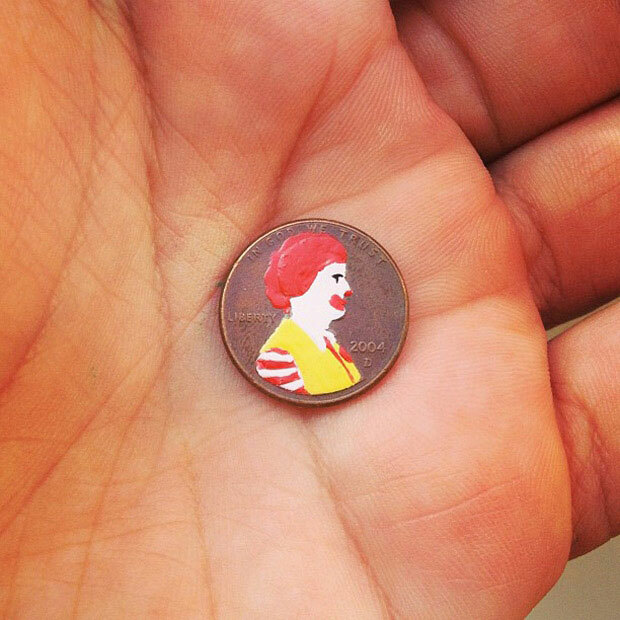 Penny for your thoughts?